Is Mini Out Of Its Mind For Charging $41,865 For A Countryman JCW? Add about 100 horsepower and BMW may have a deal. In the hands of BMW, Mini has proven that the German automaker could take on the nostalgic name of an iconic car, package it into a slick modern interpretation that customers quickly lapped up, and later, rather ironically, evolve a brand that’s name literally implies that it makes small cars into an automaker that sells crossover SUVs. Such its the recent story of Mini, but there’s more to it as well thanks to the British automaker’s rallying history that spawned the John Cooper Works models. BMW’s M Division has worked wonders proving that it could take large SUVs like the X6 and turn them into track monsters, but it does so for quite a high price. As it turns out, using the same philosophy of adding power and a dynamic drive to a large car with a Mini badge incurs the same not-so-Mini premium. Steve Sutcliffe of Auto Express gets behind the wheel of a 2017 model and finds that even with 228 brake horsepower, 258 lb-ft of torque, a top speed of 145 mph, and a 0-62 mph acceleration time of 6.5 seconds, none of its capabilities and features quite justify a $41,865 price tag. 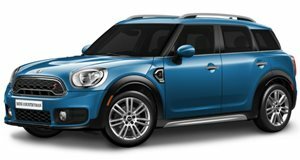 To be fair, that’s the car’s UK pricing of £30,875 converted to dollars and it should be taken into consideration that US pricing is likely to be different, but the fact of the matter remains that asking anywhere in the neighborhood of that price for a Mini is a bit outrageous.